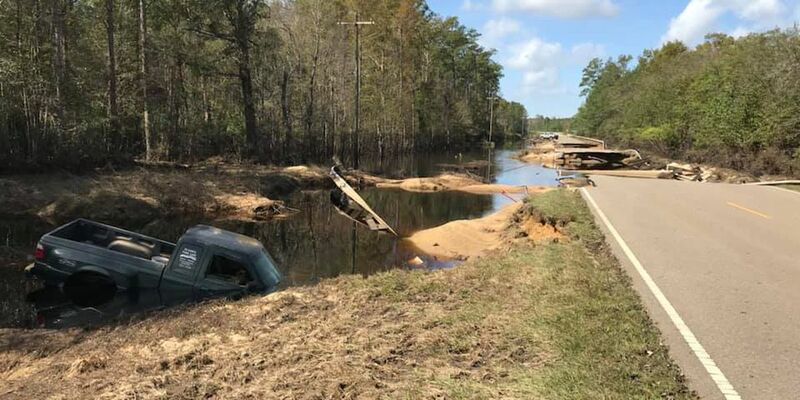 Highway 210 is impassable in several areas after Hurricane Florence hit Pender County. RALEIGH, N.C. (AP) - North Carolina’s top Republican legislative leaders say they’re prepared to approve nearly $800 million for Hurricane Florence recovery when the General Assembly reconvenes Monday. House Speaker Tim Moore and Senate leader Phil Berger on Saturday announced support to appropriate $794 million. Most would come from the state's rainy-day reserves. This past week, Democratic Gov. Roy Cooper unveiled a detailed $1.5 billion relief request, for which he sought $750 million immediately. Moore and Berger's offices said in a news release they'll give Cooper and state agencies maximum spending flexibility while damage assessments continue. Cooper's plan focused on helping farmers and businesses and repairing homes, roads, schools and other government buildings. Republicans say they'll also back Cooper's request for a new hurricane recovery office. The legislature approved an initial recovery bill Oct. 2.